Just a Die, er a single guy. Well, just a Dale. Ramblings, games and tech. Greg Comic Web Comic about a guy named Greg that doesn’t have trouble meeting women and a bunch of other members that contribute to the pains/pleasures of his life in unique ways. Questionable Content Nifty webcomic about a wacko group of friends from all walks of life. Why Pay Something (4) Office? WPS Office is real and is very available. It’s a free, open source clone of Open Office that is very much like Zorin OS. It’s almost a straight-up copy, I’ll be looking to try this out soon. I wonder how many people I could fool with Zorin OS and WPS Office running at the same time? 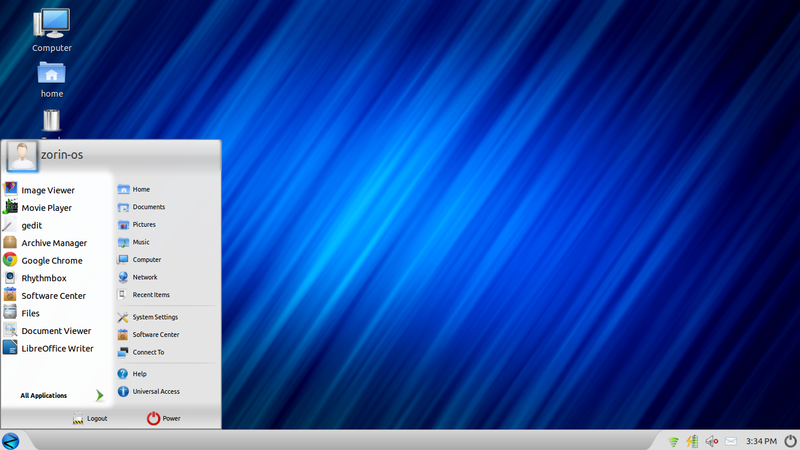 Zorin is a Linux Distro that mimics the user interface of other operating systems. And below is WPS Office running on Ubuntu. ust install Wine, Crossover or Playon and you could effectively mimic Windows very well. Of course Zorin doesn’t ape Windows completely but using Zorin and WPS along with the compatibility layers based upon WINE can help get people accustomed to linux. I don’t really believe that last line, I would probably combine these items to try to switch constantly troubled Windows users to linux with the least amount of friction. There will always be a learning curve, keeping the user interfaces the same will help with that. They don’t need to understand the file system, bash commands or anything. They just need to know how to change their workflows whenever possible. Well, the normal users do. This entry was posted in Software and tagged 7, 8, alternatives, gnome 2, linux, look alike, looks like, mac os x, microsoft office, migrate, ubuntu, unity, vista, windows zp, wps office, zorin, zorin os. Bookmark the permalink. ← Who Actually Cares About A Ducktales Remake? WPS Office is definitely free-to-use, but I can’t find the source anywhere – not sure that it’s actually libre. There appears to be some license information when I click ‘About’ in the software itself, but I can’t read Chinese. Have you seen any indication, one way or the other? Sorry for the late response, I actually haven’t checked the licensing of this since it was free to use and didn’t require an account. I’m really bad about that, I should really check out licensing terms more. I’ll check it again after a reinstallation. How Will Valve Help to Shape the Future of Gaming and Linux? Who Actually Cares About A Ducktales Remake? Do People Really Care About Yahoo?